Live Your Dream - Go Pro! Whether you are just starting to dive, or have been diving for years and are ready for your next adventure, becoming a PADI Pro is a great way to improve your diving knowledge and skills, to increase your confidence in the water, and to open up new and exciting career opportunities. So, what is your dream? Personal goal - Many divers decide to earn the Divemaster rating (the first PADI professional level rating) simply to learn more about diving and to fine-tune their personal dive skills. For these divers, Going Pro represents a personal challenge and goal that meets their need and desire to be as good as they can be at their chosen sport even though they have no interest or desire in working as a dive professional. If this sounds like you, take a look at the Divemaster course for more information. Dive often in landlocked Colorado - Other divers have a desire to dive as much as they can. However, those of us in Colorado know that when we look out the window, we see mountains and not an ocean. If you want to blow bubbles as often as possible, assisting with dive classes is a great way to do that. 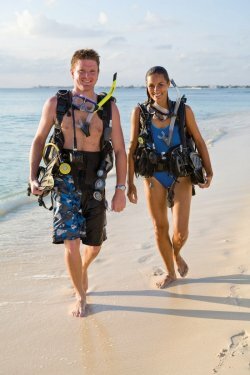 The Divemaster and Assistant Instructor ratings may be perfect for you. These allow you the opportunity to work part time as a certified assistant with a dive shop in the Rocky Mountain region or you can head off to the islands and live the lifestyle of diving every day guiding certified divers and assisting with classes. How great would it be to wear shorts and sandals to work every day and do something that you love?! Take a look at the Divemaster and Assistant Instructor courses for information on how to achieve your dream. Love diving, but really just want to share it with my friends and family – Many divers find that they love diving and want to share it with their friends and family. If you are also one of those people that love being as good as you can be at your chosen sport, then the Open Water Scuba Instructor rating may be your dream. You will not only learn how to be an expert diver, but you will also learn how to share the magic of the underwater world with your friends and family by being able to teach them to dive. Diving is a great way to meet people, go places and do things. There is no better way to do that than by being a PADI Open Water Scuba Instructor. I’m hooked and I want to do it all! – Congratulations on falling in love with the greatest sport in the world! We know how you feel. You definitely want to work your way up through the PADI professional ratings, from Divemaster to Assistant Instructor to Open Water Scuba Instructor and beyond. There are so many possibilities for you. You may be a student just starting your professional career and either are specifically pursuing a career as a dive instructor or you are entering another field where being a dive instructor will help you advance in that field. You may have a few years of working under your belt and want to teach diving part time as an escape from your 8-5 job. You may be desiring a career change, or are getting ready to retire from your primary career and want to be able to do something fun after you move to an area closer to the ocean. Whatever your personal motivation and goals are, becoming a PADI Pro will help you achieve your dream. Come join us and let us help you achieve your dream! Click on links below for more information on the various courses of the professional level diver. 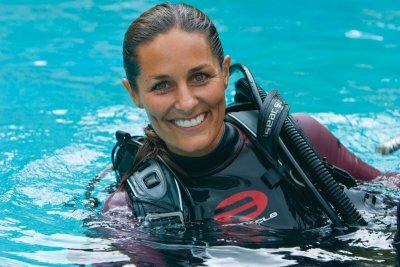 One World Dive & Travel offers instructor development in the Rocky Mountain region, and our owners have lived and taught diving in the islands. We have a course director on staff, over 200 total years of teaching experience among our instructional staff, and a full calendar of open water, adventure and advanced, and rescue classes. We have our own on-site pool and are conveniently located near Denver, Aurora, Centennial, Highlands Ranch, Parker and Castle Rock. For those of you traveling from out of town for your instructor development, there are several hotels and restaurants nearby for your convenience. Regardless of whether you are new to diving, well down the path of PADI continuing education courses and ready to Go Pro, or are already a PADI professional who wants to continue your own education, One World Dive & Travel has the programs for you. Depending up where you are with your dive training, you can see the next step in your path above. Click on any of the links above to see additional information on the next step towards your dream.